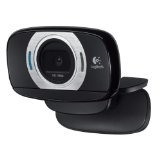 ● The Webcam – webcam’s that are built into older laptops generally are not of the best quality, but newer ones are. If you have an older laptop or PC, using a Logitec C920 is the best option. Its best if the camera is place at an angle that is horizontal to your eyes and not looking up at you. You might need to place your laptop on some books or a stand for best results. 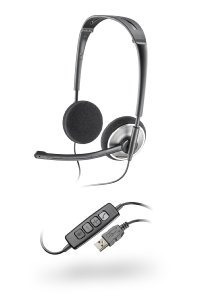 ● Headset – A Headset with a mic is preferred but not mandatory. (Here is an example: http://amzn.com/B005VAORH6) The mic in your webcam or built into your laptop is generally not of the best quality and will pick up a lot of ambient noise. Even with a headset mic, you will want a relatively quiet location. 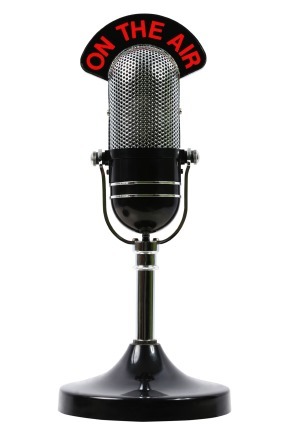 If you would like to upgrade your set up, without spending too much money, you could use a microphone like the ATR-2100 (http://amzn.com/B004QJOZS4) or AT2005 (http://amzn.com/B007JX8O0Y). Either of these two mics can be paired with any kind of headphones or earbuds for really good sound. ● Google+ Hangouts – We generally use Google+ Hangouts for the podcast. If you don’t have an account, we have a guest account you can use. During the pre-show interview, we will need to set this up. ● Skype – If we do need to use Skype for backup reasons, make sure it is updated to the latest version. We may need use this for the pre-show or the actual podcast if there is an issue with Google+ Hangouts that night. 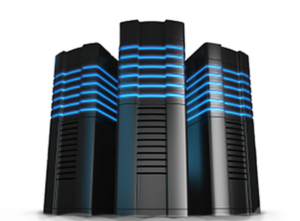 ● Internet – You will need an adequate internet connection – Fast DSL or Cable with a 1mb up and 3mb+ down speed will be the bare minimum. ● Lighting – Almost all webcams are horrible in low light. Having decent amount and quality of light is very important to getting good video. More light is better than less. Light in front of you is better than behind you. Hard to over do your lighting. ● If the host has invited you to a shared show notes document, check that document and add your content WITH links. You don’t need to get detailed, just brief bullet points with links are good enough. We normally do not worry the guest with sharing the show notes unless they ask to see them and want to add something of their own. ● Check your video quality. Is the camera focusing properly? Does the color look correct do you have enough light? ● Reboot your computer and keep the number of programs you open to the minimum needed for the podcast (Skype, web browser, etc). Rebooting helps the computer be at it’s peek performance. ● Check that no internet bandwidth task are going on anywhere on your network that may impact your ability to send quality video and audio. For example, is anyone watching Netflix, uploading large files, running a torrent program or watching online videos? If you have LOTS of bandwidth, this may not be an issue, but if you don’t, these things may use up so much bandwidth you can’t properly transmit video or even audio. ● Reduce the noise in your location. ● Check Skype or Google+ Hangout, which ever is being used for the show, and make sure the audio is coming from the correct device. Sometimes, Skype or Google+ will change the mic source back to your webcam instead of your headset (if you are using a headset). ● Go into your Skype settings/options and select the “Sounds” tab. Then click the “Mute all sounds” button. This will stop all the Skype sounds from coming across the podcast. Once the show is over, don’t forget to go back and turn this back on if you want the sounds. ● Chat starts about 30 minutes before show starts. You can join chat then and start “talking” with the audience or just wait for the show start. ● If using Skype for the podcast, be ready for host to call about 15 minutes before the show starts. ● If using Google+ Hangout, be logged into Google+ and watch for the Hangout invite. Once you receive it, join the hangout. If you don’t see the invite, send the host a Skype message. That’s the quickest way to make contact. ● Don’t touch your mic unless you are muted. ● Mute your mic if there is going to be noise in the room, including you moving around, typing on your keyboard,scratching your face, etc. ● While we don’t want someone to consume all the “air time”, we do want YOU to talk, after all YOU are the guest. So feel free to expand upon the topic being discussed. ● Log into the live chat. You may not be able to keep up with the conversation in chat, but it’s there if you need it. ● The hour will go by MUCH faster than you think and it is very likely we will not have time to cover everything we wanted to talk about. That’s OK, it gives us a reason to invite you back! ● Show is usually posted a few days after the live event. Once published, host will make an announcement letting everyone know it is now available. ○ Encourage people to listen to or watch your episode. ● Also encourage your social circles to search for the podcast on iTunes and leave a comment. In addition, encourage them to subscribe to the podcast either through iTunes, our website or their favorite podcast catcher. THANKS FOR BEING A GUEST!